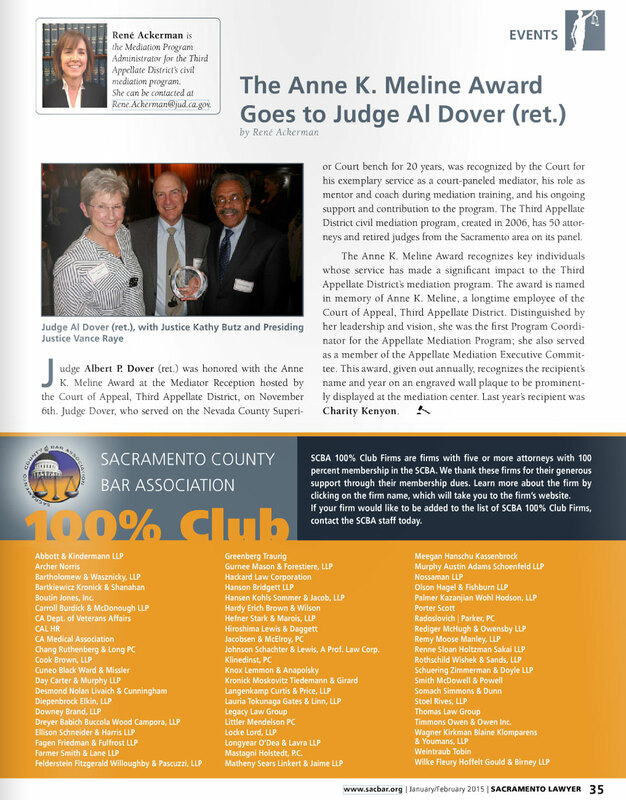 In November of 2014 Judge Dover ( R ) was honored by the Third District Court of Appeal with their presentation to him of the Anne Meline Service Award in recognition of his years of outstanding service to the Mediation Program. 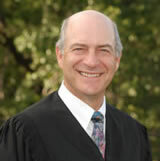 Judge Dover ( R ) was recognized in part for his contribution as a mediator, where, to date, he has settled 11 of the 15 cases he has been asked to mediate. 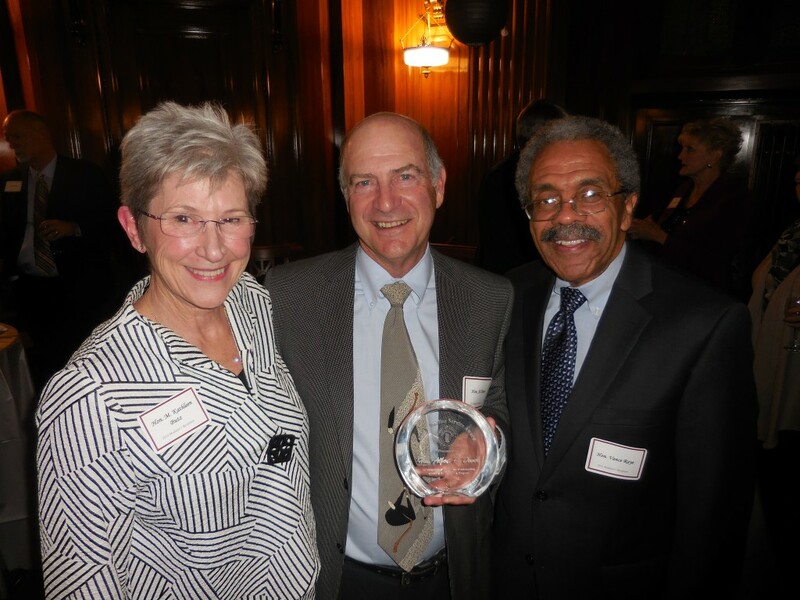 He was also recognized for his contribution in assisting in the training of other mediators on the Court’s mediation panel. 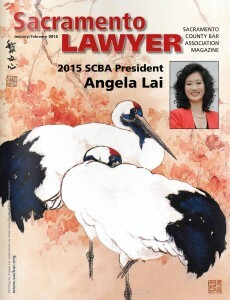 These testimonials are meant to help you, the lawyers that do not know me , to have confidence that I have the kind of experience and disposition that would make me the right mediator for your case.